I’ve written about Purim before – how the ladies of our family get together, enjoy lunch, read the story of Esther, share bios we’ve individually done of bold, brave and beautiful women who served God and then toast each other with pickles. Yesterday we enjoyed Purim, hosted by Lisa and Laurie in Chicago. And so here is my bio for the year. Matilda, the 7-year-old daughter of wealthy Baron Carl Gustav Wrede, governor of the Finland province of Vasa, stood on the balcony of her family’s manor home looking out at the beautiful gardens. One of her favorite things to watch was the blacksmith who had a shop on the property. This day she was especially interested because her own horse was being shoed. But then she heard some unexpected noise. Two men brought a third man to the blacksmith and Matilda watched as the blacksmith wrapped a hot piece of melting iron around the man’s leg and held it there until it cooled. The cuff was attached to the chain. Matilda screamed. She knew that her father used chain gangs to take care of the gardens, but she had no idea how cruel this was. Throughout her childhood, she thought about the convicts, often sneaking food to them as they worked on her father’s property. At age 19, Matilda trusted Christ at a revival meeting and the neediness of the prisoners instantly became her life’s work. Her father (being high up in government) wrote a letter getting her into any prison to visit. Immediately, Matilda began visiting convicts, daring to go into cells of criminal’s – even murderers – where others feared to go. Matilda saw their loneliness and their sense that no one cared. She spread the gospel message that they were loved. She even ate as if she were a prisoner because she saw herself as no better than they were in spite of her rich heritage. At first her father was distressed that his daughter would turn her back on her wealth and spend her time in prison. He retired as governor because he thought if he moved her away from the prison, she would lose interest. That didn’t work. She continued to visit the prisons and began traveling around Finland to visit other prisons, too. Eventually her father understood her mission and in a large part, financed her life’s ministry. 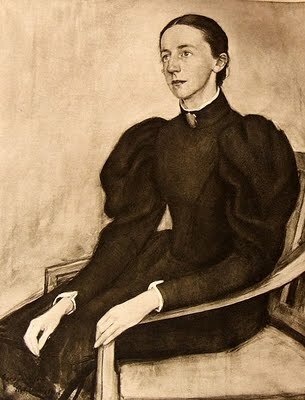 Matilda became so important to the prisoners of Finland that she was invited to participate in the International Prisoners Congress in Russia. There, she realized that the other attendees were concerned about the salaries and conditions of the prison officers and guards and not the prisoners themselves. She loved the prisoners. After working in the prisons for many years, the Finnish government changed and suddenly she was locked out and not allowed to visit the men she had worked with so long. But, she continued fighting for their rights. Even those who do not admire her desire to share the gospel with the convicts, credit Matilda with reforming the Finnish prisons. From the time she was a young girl, she was a bold, brave and beautiful woman who loved the Lord.